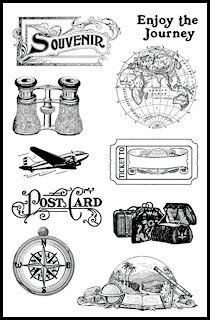 bon voyage cards, altered collage and travel layouts. plus the words ‘Enjoy the journey’. This largest stamp is approximately 1 1/2 inches . easy. Storage is great too! This medium set sells for $14.95 plus $1.25 for shipping.